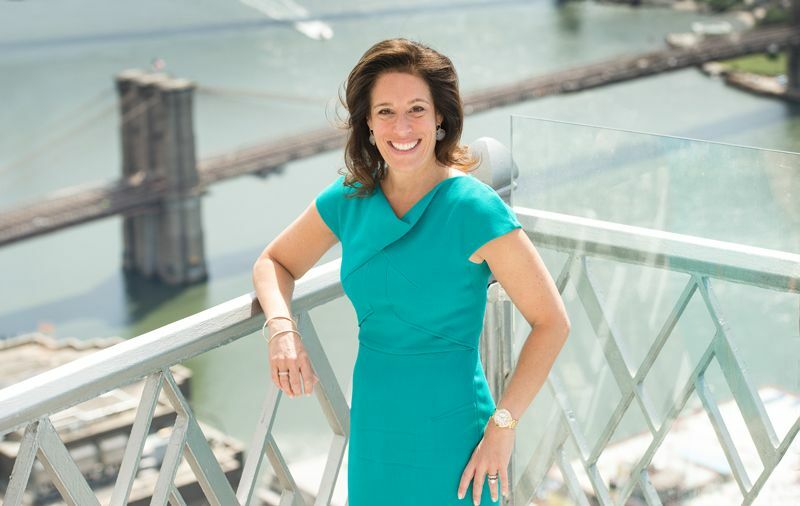 Rose Associates, the venerable family-owned New York City residential development and management company, has a new strategic direction — and a new leader. As both CEO and sole president, Amy Rose will direct all facets of the company’s business. Rose Associates has more than $2.4 billion worth of projects in development and manages $15 billion in assets including 14,000 rental units throughout the city. It recently transformed the landmark skyscraper 70 Pine St. from offices into luxury rental apartments. The company, based at 200 Madison Ave., developed condo/rental tower 252 E. 57th St. with World Wide Group, and 210 Livingston St. in Brooklyn with Benenson Capital Partners. Amy Rose’s immediate challenge is to find a single strategic equity partner for the first time since the firm was founded in 1925. The new model also means the company will need to put in less of its own money. It will make Rose “more similar to other institutional development/management firms, as opposed to ‘family,’ ” noted Adam Rose, who will become vice-chairman. Chief Operating Officer Brian Peters will continue to run the company day to day. “Huge amounts of family equity isn’t the way grown-ups do deals today,” Adam Rose said. Although various partners own large stakes in many Rose Associates properties, it doesn’t mean the family didn’t have to put in a bundle of its own dough. For example, although DTH Capital is the majority owner of 70 Pine St., the Roses still needed to put more than $30 million into what turned into a $600 million conversion. Another of Amy Rose’s goals will be to spread Rose’s reach outside the city — to “transit-oriented development,” she said. “We’re looking up and down train lines in places like New Jersey and Yonkers,” Rose noted. Rose revealed that the company is partnering with developer Aaron Wexler in White Plains, where they’re converting a former AT&T office building, a few blocks from the MetroNorth station, into 200 apartments — Rose’s first venture outside the Big Apple in decades. Amy Rose joined the family business in 1989, “after I graduated from the University of Michigan. I was renovating apartments, picking door knobs and rope hooks,” she said, chuckling. “I’m honored, not only to be recognized as the first CEO of Rose, but also in the context of our world and time.” Although women top real estate executives aren’t unknown, they tend to be at publicly traded companies. “I might be the only one in the major family realm,” Rose said. Amy, 51, and Adam, 58, each owns 50 percent of Rose Associates. Their decision to have Amy take up the CEO reins grew out of a shared recognition of where they were at their respective career stages. Adam elaborated, “I woke up and had the revelation that I’ve been at it for 34 years. I joined the company in 1983.